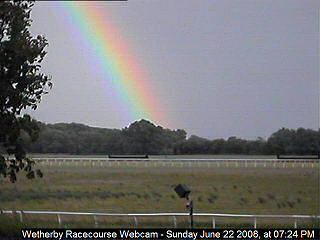 This is Wetherby Racecourse Webcam, in West Yorkshire. At the far side of the course, there used to be a railway line which brought racegoers from Leeds and York. 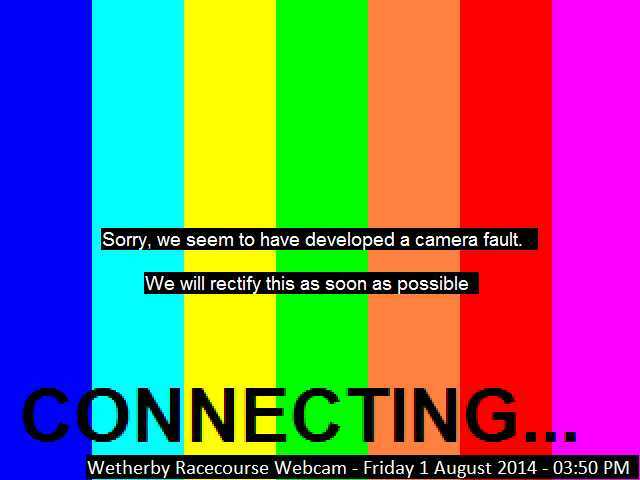 Live webcam view over Wetherby Races, view refreshes every 60 seconds. See below for gallery of curious weather over Wetherby racecourse. Whether you want to check out the weather for Wetherby Races, or see if you can spot your horse tackling the jump in the distance we hope you like Wetherby Races webcam... please tell your friends about us. Sorry, but on some mornings the sun shines straight into our camera lens which plays havoc with the quality of the image. Just come back later in the day for a better view! Wetherby Racecourse webcam is hosted by the Car Buying Guide... showing you how to get the best deal when you trade in your car. We are capturing unusual weather over the Racecourse in West Yorkshire with our webcam and posting the images here. Wetherby racecourse disappears under a foot of snow and the races on Boxing Day and early January are abandoned! 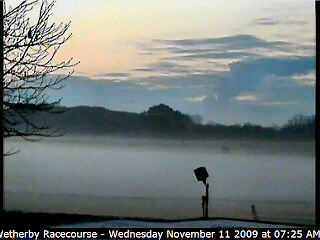 Spooky early morning mist over the racecourse at Wetherby, West Yorkshire! Deep snow on Wetherby Racecourse early one morning in March 2008. 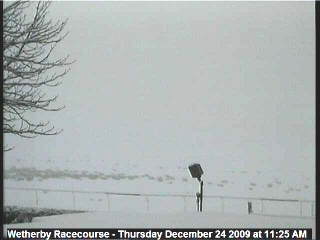 This image shows snow on Wetherby Racecourse in January 2008 and the new jump they seem to have built right in front of our webcam. We will try to capture some images of racing... when is the next race meeting...? This was the Opening Meeting of Wetherby Race's new 2007/2008 Jump Racing Season. We think this was the first racing since they moved the track. Having done extensive ground work in moving the track away from the A1, they are now using two hugh automatic water sprinklers to irrigate the track. This photo shows one of these "gantries" as it moves slowly along the track spraying gallons of water over the turf. Sunny evening over Wetherby Racecourse. Still no rails but, thankfully, no more flooding! This image shows Wetherby Racecourse almost half flooded by the heavy rains in June 2007. The going was a bit "soft"! 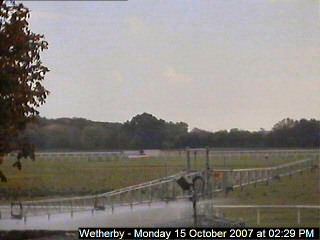 As you can see from this webcam view, they had removed the fencing from around the track at Wetherby Races. There are currently loads of machines digging up the racecourse at the Wetherby end (nearest the A1)... we don't know what's going on but we will keep you posted. They have moved the west end of the track in and away from the A1 - presumably to make more room when they widen the A1?